A 50-year-old man is admitted to ICU postoperatively, following a ‘pedestrian versus car’ motor vehicle accident. He requires ongoing haemodynamic support with noradrenaline. A left subclavian CVC is inserted with dynamic ultrasound guidance. The patient has a weak left radial artery pulse, and it is suspected that the aortic stent has compromised distal flow to the left arm. 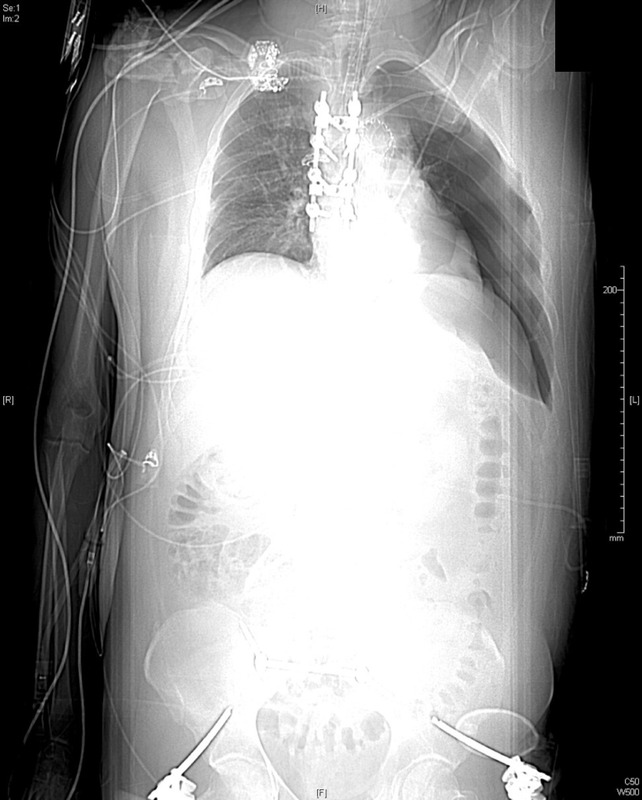 A CT aortogram is ordered. Q2. Describe and interpret the pilot image shown below. 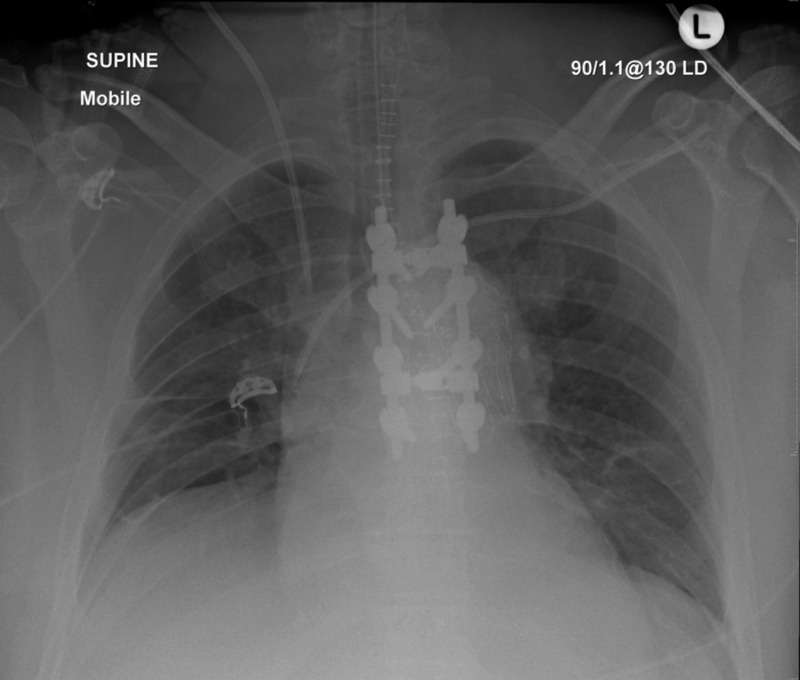 The most striking finding is the presence of a ‘deep sulcus sign’ on the left, with hyperlucency and absence of lung markings, consistent with a left pneumothorax. Q3. What is the ‘deep sulcus’ sign? Q4. How common is pneumothorax post CVC insertion? How can this risk be minimised? Patient-related factors (underlying disease, co-morbidity, anatomy, compromised procedural settings, patient restlessness or lack of co-operation, previous operations/trauma/radiotherapy). Catheter-related factors (site, catheter type). Clinical factors (Operator experience, previous catheterizations, catheterization attempts, emergency vs. elective situation). Use of a standardized treatment algorithm.